Recent events show how corruption has become the defining issue for citizens in every corner of the world. Following elections in Armenia and Malaysia, Anne Marie Slaughter wrote in the Financial Times recently: “In the past 18 months, we have seen corruption issues upset governments and even lead to imprisonment for presidents in Peru, Romania, South Africa, Argentina, Brazil, Colombia, Guatemala, Israel and South Korea. Voters on every continent are fed up.” Being fed up is one thing—knowing how to respond is another. How can we translate the frustration into constructive action that benefits the public at large? The answers vary depending on national context, but for some countries the response has been to focus on ensuring the return of proceeds of public corruption to the public. It is the most tangible way to hold offenders to account and use the stolen wealth for productive ends. At the StAR initiative, we have noticed increased attention to our work, with new expressions of interests from countries coming in very frequently. In the second quarter we fielded scoping missions for two new country engagements, Ecuador and FYR Macedonia—and we hope to conduct a few more over the coming months. At a moment when corruption dominates headlines across the world, the number of requests for StAR assistance sends a positive signal, demonstrating countries’ wish to find practical ways to right the wrongs of the past and their willingness to engage with other countries. We hope the newsletter gives you some idea of what that assistance entails, and as always, we look forward to receiving your comments and hearing from you. Ecuadorian representatives met with StAR experts in Vienna to discuss their new asset recovery efforts. Photo provided by UAFE Ecuador. In December 2017, the United States and the United Kingdom hosted the first Global Forum on Asset Recovery (GFAR) in Washington D.C, with support from StAR, which focused on assistance to four countries: Nigeria, Tunisia, Sri Lanka, and Ukraine. The goal of the Forum was to provide a platform for bringing together investigators and prosecutors from the four focus countries with their counterparts from financial centers, in order to enhance partnerships and collective action for returning stolen assets. In Nigeria: StAR continued to help Nigeria make progress in bilateral case casework with several of the jurisdictions participating in GFAR. New returns of assets are imminent in three cases, and other major investigations are promising to yield similar results. StAR also continued its advisory work with the Nigerian Government around management and disposal of seized assets, providing analysis of the proposed functions of the newly created Asset Recovery and Management Unit in the Attorney General’s Office. 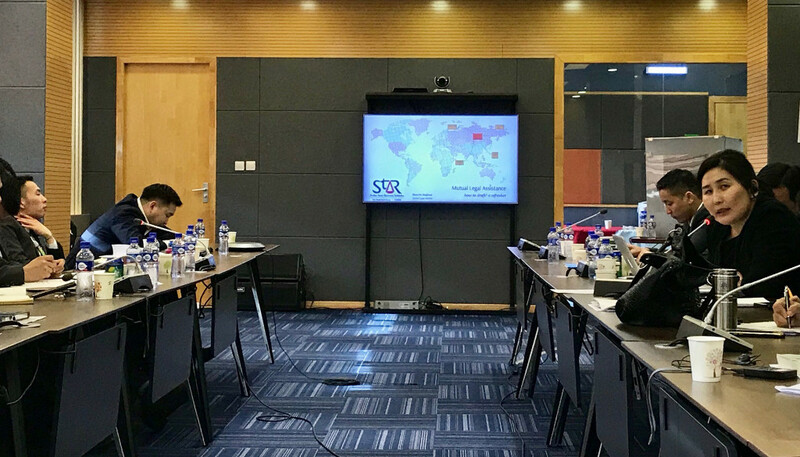 In June, StAR participated in a multi-stakeholder event that discussed the plan for disbursement of the 322 million USD that Switzerland returned to Nigeria in early 2018, following the agreement signed between the Governments of Nigeria and Switzerland and the World Bank at GFAR. In Tunisia: After supporting a series of four training workshops on financial investigations organized by the UNODC earlier in the year, StAR has been in discussions with relevant authorities on progress related to certain cases in financial centers that have frozen corruption-related assets. In Sri Lanka: StAR experts conducted several missions to Sri Lanka over the past quarter, consulting on the development of the Proceeds of Crime Act and the Asset Recovery Roadmap, and working with financial investigations officials for capacity-building purposes. These efforts will continue in the coming months as we work towards the finalization of the Proceeds of Crime Act, Asset Declaration Reform, and the Asset Recovery plan. In Ukraine: At the request of the Asset Tracing and Management Office of Ukraine (ARMA), StAR provided feedback and analysis on numerous proposed amendments to the legal framework on asset tracing and management in Ukraine, which will be incorporated in the next version. StAR experts also supported the World Bank dialogue with Ukrainian authorities and international partners on the drafting of the landmark legislation on the High Anti-Corruption Court (HACC), which was enacted in June 11, 2018. Assisted the Kyrgyz Republic by providing advice to the FIU and the General Prosecutor’s Office on the draft regulation on the procedure for returning criminal proceeds from outside the country. After the adoption of the country’s mutual evaluation report (MER) on its AML/CFT system by the Eurasian Group on Combating Money Laundering and Terrorism Financing (EAG) in May, there has been a new impetus to increase the effectiveness of the confiscation system in the country, both with regards to proceeds found domestically and internationally. The MER found that fundamental improvements are needed in terms of effective confiscation of the proceeds of crime (including corruption). Supported law enforcement agencies in Mongolia engaged in asset recovery work. StAR experts traveled to Mongolia in early May to assist in the development of asset recovery guidance for use by local practitioners. StAR continues to assist the Prosecutor General’s Office in the finalization of these guidelines. Provided support to Tanzania by working with the Asset Forfeiture and Recovery Section (AFRS) in the office of the Director of Public Prosecution in an effort to move forward the capacity-building program that was initiated in 2012. After the adoption of the second phase of the program last year, StAR experts conducted a follow-up mission to Dar es Salaam in June to assess implementation of the AFRS strategic plan and to agree on specific interventions to support achievement of targets set. Moving forward, StAR will provide support for producing an operations manual to standardize and guide asset recovery work. Consulted with Moldova on amendments, enacted in May, to the legislation on asset declarations. As a result of the new regulation, public officials will not only be obliged to declare their (and/or their family members’) ownership of a controlling stake in a shell entity, they will also have to declare the property held by such entities. StAR provided advice on these amendments from the conceptual stage through the submission of the draft amendments to Parliament. Please see our previous newsletter where we discussed this legislation in greater detail. StAR visited Ulaanbataar to assist Mongolian authorities in the development of asset recovery guidance. In order to begin the StAR engagement process, a country’s representatives will usually reach out to their contacts in the local World Bank country office (CMU) or local United Nations office, seeking to better understand the assistance that StAR can provide and how they would go about making a request. This outreach is often precipitated by a recent election in the country, or, in rare cases, a revolution. Because major political change is often triggered by corruption in prior leadership, new governments typically seek to put their rhetoric around corruption into practice as soon as they are in office. Asset Recovery initiatives offer a tangible opportunity to address the financial crimes of the prior leadership and to raise funds for sustainable development. After the initial outreach, we communicate to the country the need for an official letter of request to be sent to a World Bank Country Manager or UN point of contact, stating that the government in question would like StAR support in relation to its asset recovery efforts, and we ask them to nominate a point of contact for the initial coordination calls. Any strategy documents or action plans they have developed which incorporate asset recovery components. Over the past quarter, StAR responded to requests for assistance from two new countries, Ecuador and FYR Macedonia. StAR undertook scoping missions in both countries to discuss their specific needs and contexts for asset recovery. The clients had prepared their respective action plans, so it was possible to focus discussions on specific areas of concern that StAR could support moving forward. Following a request for assistance and the receipt of briefing information, StAR undertook a scoping mission to FYR Macedonia. It had prepared an action plan for discussion and identified an immediate, time bound need for international cooperation assistance, which precipitated a second, follow-up mission for StAR experts. Using the information obtained during this period, StAR provided an aide memoire to the client to help determine on which activities they require assistance from asset recovery practitioners. This engagement is developing rapidly and we expect further mission work in the course of this year. In response to a request for technical assistance received from Ecuador, StAR conducted an assessment mission to Quito in April. StAR met with Ecuadorian authorities to determine the most urgent needs for assistance in relation to asset recovery. Talks are ongoing and we hope to implement the initial activities soon. StAR Coordinator Emile van der Does de Willebois speaking at the UNCAC 15th anniversary in New York. This May, StAR participated in the 15th anniversary commemoration of the adoption of UNCAC at the United Nations in New York. In his opening remarks, UN Secretary-General António Guterres highlighted the importance of returning stolen assets, and called attention to the vital role of African countries in moving this agenda forward. Mr. Yury Fedotov, Executive Director of UNODC, highlighted the significance of the StAR initiative in implementing chapter 5 of UNCAC (on asset recovery) and referenced the MOU signed by Switzerland and Nigeria at GFAR last year over the return of $322 million. 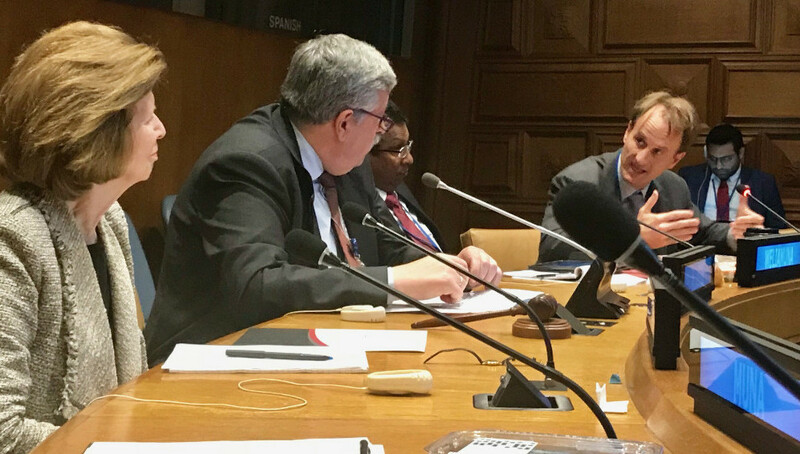 StAR organized a side event at the UN, focused on progress made and challenges remaining in international cooperation for asset recovery efforts since the adoption of the Convention 15 years ago. Please see additional detail and videos of the event here. StAR experts traveled to Vienna, Austria to attend the ninth session of the UNCAC Implementation Group (IRG), the twelfth session of the UNCAC Working Group on Asset Recovery (ARWG) and the seventh UNCAC International Cooperation Expert Meeting (ICEM) in June. These annual meetings are specifically tasked with advising and assisting the implementation of the Conference of the States Parties to UNCAC on the mandate on the return of proceeds of corruption. The ARWG focuses on developing cumulative knowledge, encouraging cooperation, facilitating the exchange of information and identifying capacity building needs. The StAR Initiative played a prominent role in the Working Group sessions, through substantive contributions to its background documentation, preparations of plenary and side meetings, and in this case, three separate panel presentations. StAR experts traveled to Paris at the end of June to attend the G20 Anti-Corruption Working Group (ACWG) meetings. The ACWG sought to finalize discussions and approve the “High Level Principles for Preventing and Managing Conflicts of Interest in the Public Sector” and the “High-Level Principles for Preventing Corruption and Ensuring Integrity in SOEs”, both of which were prepared with the World Bank assistance. StAR participated in an expert meeting on the management, disposal, use and recovery of frozen, seized and confiscated assets, which was held in Antigua, Guatemala. Experts exchanged their experiences in asset management and discussed draft guidelines developed by UNODC on the topic. StAR also attended the 8th Commonwealth Regional Conference for Heads of Anti-Corruption Agencies in Africa held in Abuja, Nigeria in May 2018, themed ‘Partnering Towards Assets Recovery and Return’. StAR ran a session entitled 'Asset Recovery & Return: The Role of Development Partners', delivering a presentation highlighting the different aspects of StAR’s work (country engagements, policy influence and knowledge development), and linking asset recovery and return to the achievement of the Sustainable Development Goals and the Addis Ababa Action Agenda. “The Global Forum on Asset Recovery (GFAR), which held its inaugural meeting in Washington, DC, in December 2017, is one good example [of] the latest effort toward facilitating asset recovery and return. The meeting brought together governments from four countries from which resources have been stolen – Nigeria, Sri Lanka, Tunisia and Ukraine – and those from countries that tend to be the destinations for these looted resources, to coordinate efforts aimed at identifying those resources and ensuring successful repatriation. We recently released a new Beneficial Ownership guide on Switzerland, which can be found here. Please visit the StAR website publications page for an updated list of our publications. We frequently add new translations of our materials in between major releases. One of the topics that StAR has delved deeper into over the past quarter is direct enforcement of foreign confiscation orders. Domestic mechanisms for recovery of property through international cooperation on confiscation are important preconditions for the recovery of stolen assets, pursuant to the United Nations Convention against Corruption. In fact, any States party to the Convention must establish measures enabling them to give direct effect to each other’s domestic confiscation court orders, subject to the requirements of their domestic law (for example, see articles 54(1)(a), 55(1(b)) and 57(3(a)). Of course, there can be totally legitimate reasons for a country to refuse the execute a foreign confiscation order-notably if the order was issued without respecting the defendant’s due process rights, or the defendant was targeted for political reasons. From a practical point of view, the ability to directly enforce foreign confiscation orders would facilitate the recovery of assets, as additional court procedures in requested jurisdictions can be time and resource-consuming and involve other technical challenges. proof that notice was provided to all potential claimants and that they were given an opportunity to present any challenges recognized by law. The Handbook also provided two examples (of the U.S. and the U.K.) demonstrating requirements to the enforcement of foreign confiscation orders. In the United States, an MLA request to register and enforce a foreign court confiscation judgment must meet certain statutory requirements and should be certified by the U.S. attorney general. U.S. authorities will then file an application to enforce the order as if it had been rendered by a court in the United States. The district court will order that the judgment be enforced on behalf of the foreign jurisdiction, unless it finds that the judgment was rendered under a system incompatible with the requirements of the due process of law, that it was obtained by fraud, or that the foreign court lacked subject-matter jurisdiction or personal jurisdiction. In the United Kingdom, the Secretary of State refers the processing of confiscation orders arising from a criminal conviction in a foreign jurisdiction to the relevant agency. The Crown Court decides whether to seek registration of an external order, thus giving it effect. It will register only an order made consequent to the final conviction of the person named in it, not subject to appeal, and compatible with the Human Rights Act of 1998. However, since the time of the publication of the Handbook, we are unaware of significant asset recovery cases based on “the direct enforcement” of foreign confiscation judgements. The States parties to the Convention have often expressed frustration over discrepancies in different domestic seizure and confiscation regimes, stressing that significant challenges remained owing to excessive procedural requirements and related delays in the asset recovery process, a lack of familiarity with domestic legal procedures, lack of trust between requesting and requested States, and differences in such procedures, in particular with regard to confiscation regimes. In a resolution it adopted last year, the Conference of the States Parties to the Convention specifically called upon the States to take concrete steps to ensure that there are adequate mechanisms in place to allow or expand cooperation in the enforcement of foreign seizure and restraint orders and confiscation judgments, including through awareness-raising for judicial authorities and through measures to permit, where possible under national law, recognition of non-conviction-based seizure and freezing orders and confiscation judgments. These developments highlight the need to enhance international cooperation in this area. This is why StAR is currently undertaking further analysis on why direct enforcement of foreign confiscation orders has not been utilized more actively in practice. In that regard, StAR will also be examining the information made available in the course of the Second Cycle of the United Nations Convention against Corruption Implementation Review Mechanism, which was launched in 2015, and focuses on the implementation of the requirements of Chapter V of the Convention on “Asset Recovery” by the States parties. We hope this publication, envisaged for later this year, will increase understanding and use of this important mechanism and ultimately contribute to more effective asset recovery.